This is a hidden object game where the player searches drawers and shelves filled with buttons, pins and other scrapbook decorations. A list of the required items appears at the bottom, along with a magnifier available to enlarge part of the screen, making the hunt for objects more pleasant and easier. There's a time limit of 30 minutes for each chapter. One of the list items, written in red, shows a riddle about a mystery object when clicked. The hint button highlights the area surrounding one of the listed objects. 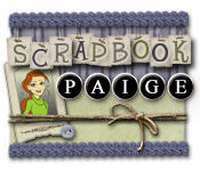 At the end of each chapter, a mini-game appears where the player has to place items to their corresponding silhouettes on a scrapbook, within a time limit. In some screens, the player has to click on several instances of the same object, or object type. These objects are blended into the background fabric, making them harder to find.